Several historic structures throughout Colorado have been affected by natural disasters, namely fires and floods. Colorado Preservation, Inc. has partnered with the National Trust for Historic Preservation and the History Colorado State Historical Fund to quickly and effectively assist property owners in need. Owners of damaged properties are discovering that it can be faster and cheaper to renovate than to demolish and build a new structure. Throughout the Colorado summers, the temperatures rise fueling the danger for wildfires. Natural Disasters such as wildfires can threaten and destroy our cultural heritage. The Royal Gorge fire that occurred in June 2013 burned 3,218 acres and destroyed 48 structures, including damage to several historic structures located in the Royal Gorge Bridge and Park. The September 2013 floods affected 17 counties including Boulder County where the most rainfall was recorded, 9.08 inches, an amount comparable to the counties annual precipitation. The floods ripped out half of the foundation of the circa-1902 Little Church in the Pines in Salina, everyone reacted quickly in order to understand the damage and work to stabilize the Church. The State Historical Fund awarded emergency funding to stabilize this important community landmark. Likewise, the 2013 flood crashed its way between the two historic barns at the Elkhorn Lodge in Estes Park, but the properties were stabilized and protected through a State Historical Fund emergency grant. Not only can renovation save money today, but a rehabbed historic property is more valuable in the long run than a new building. It usually costs less to repair than build from scratch. It is quicker, and a repaired historic structure grows in value faster than a new building. Figure out exactly what needs to be done, write it down, and walk through your structure with contractors to get a ballpark figure. If the estimate sounds reasonable, request an item by item detailed bid. The History Colorado State Historical Fund is available to give assistance. Recognizing the need for immediate preservation after natural disasters such as floods, tornadoes, or fires, the Fund offers emergency funding to damaged buildings, structures, or sites for temporary stabilization until property owners are able to pursue permanent preservation projects. Public and non-profit property owners of historically designated properties are able to apply for up to $10,000 with a 25% cash match. Private property owners of historically designated properties are not able to apply directly; however, a non-profit organization is able to apply on their behalf. 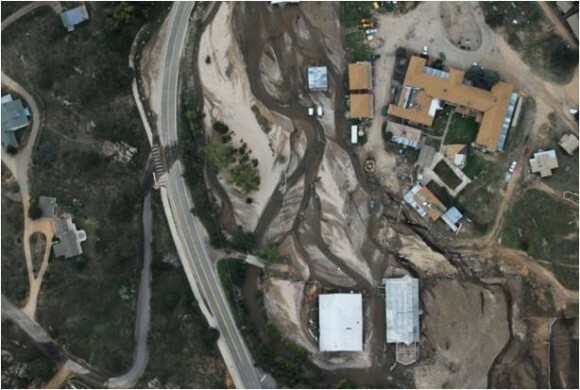 Colorado Preservation, Inc. has been working with private property owners to help them acquire emergency grant funding for immediate stabilization needs due to damaged sustained by acts of nature. Colorado Preservation, Inc. is also available to provide future grant writing and management assistance for larger grants during the spring and fall grant rounds.